Bugs bugs bugs! It's springtime, which means the bugs are out to play in this nice warm weather. 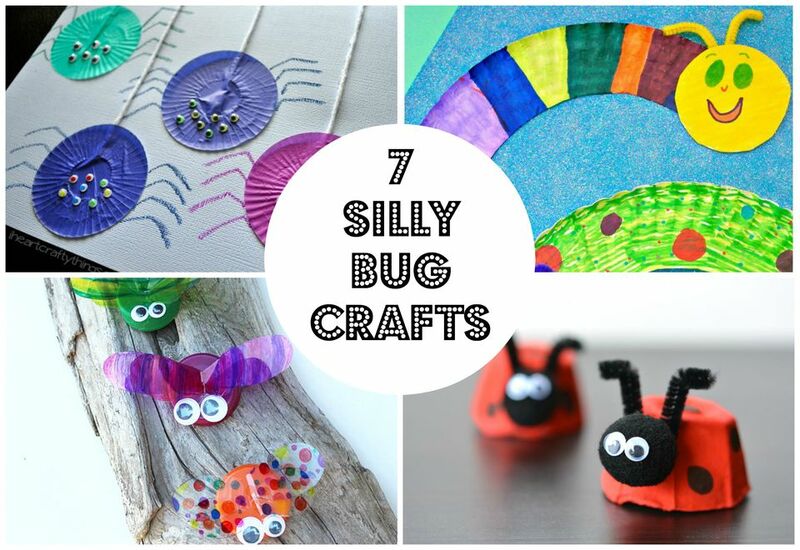 Bring the bugs inside with these seven silly bug crafts for your little ones. They are all simple, cute, and lots of fun. Which bug craft will you choose to do with your kiddos? Any of these creations you choose is sure to be a hit! Firefly Suncatcher Craft: This is a super easy craft that will look so cute in your home for spring. Your kiddos will love how the sun catches this craft. I Heart Arts N Crafts has the details. Ladybug Hat Craft for Toddlers: Need a fun and simple project for your kids to do? This ladybug hat made of craft foam is it! It's perfect for birthday parties, classroom projects, or just a boredom buster. Visit Make and Takes for the full tutorial. Egg Carton Ladybugs: Recycle old egg cartons to make these little ladybug cuties. Their antennas are made out of pipe cleaners and they have silly googly eyes! One Little Project has the instructions. Bottle Cap Bugs: Upcycle some bottle caps to make this adorable bug craft. You can turn the bottle caps into beetles, ladybugs, bumble bees, and more! Head over to TGIF This Grandma is Fun for the rest of the details. Paper Plate Caterpillars: Cut a paper plate into a friendly caterpillar. These are super cute and the perfect craft for spring time! You can find the instructions from In The Playroom. Easy Insect Craft for Kids: Craft a few crawling and flying critters with popsicle sticks. Use other art supplies you have lying around your house to help make them. This is a super simple craft from Juggling Act Mama. Cupcake Liner Spider Craft: Colorful cupcake liners make the perfect base for this spider craft for kids. Add some string and googly eyes to complete the project! I Heart Crafty Things has the tutorial.